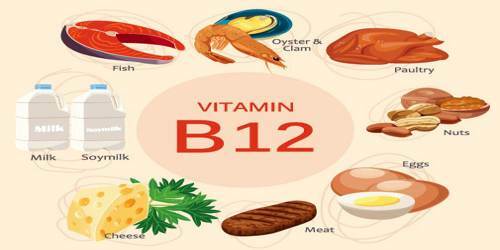 Vitamin B12 is a water-soluble, complex organic compound containing cobalt, found especially in meat, liver, eggs, milk, and milk products. It is also called cobalamin. It is necessary for the synthesis of DNA by the body, for the production of blood cells, and for maintaining the health of nerves. It is one of eight B vitamins. It is involved in the metabolism of every cell of the human body, especially affecting DNA synthesis, fatty acid and amino acid metabolism. A deficiency of vitamin B12 in the diet results in pernicious anemia. It is a key factor in the body’s proper use of iron and formation of red blood cells. The nervous system also relies on an adequate supply of cobalamin to function appropriately, as it is an essential component in the creation and maintenance of the myelin sheath that lines nerve cells. Other roles of cobalamin include working with pyridoxine (vitamin B6) and folic acid to reduce harmful homocysteine levels, participating in the metabolization of food, and keeping the immune system operating smoothly. Animals store vitamin B12 in liver and muscle and some pass the vitamin into their eggs and milk; meat, liver, eggs and milk are therefore sources of the vitamin for other animals, including people. Animal sources with a significant content of vitamin B12 (range among top 20 sources of 50 to 99 µg per 100 grams) include clams, organ meats (especially liver) from lamb, veal, beef, and turkey, fish eggs, mackerel, and crab meat. Vitamin B12 is an ingredient in multi-vitamin pills and in some countries used to enrich grain-based foods such as bread and pasta. 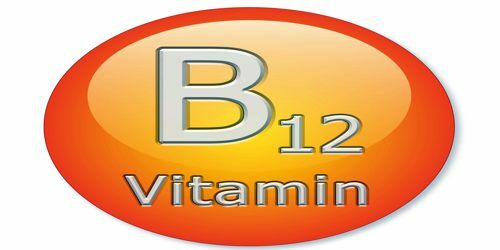 B12 is produced in nature only by some prokaryotes (certain bacteria and archaea); it is not made by any multicellular or single-celled eukaryotes. Vitamin B12 (Cobalamin) is needed to form blood and immune cells, and support a healthy nervous system. A series of closely-related compounds known collectively as cobalamins or vitamin B12 are converted into active forms methylcobalamin or 5’-deoxyadenosylcobalamin. Methylcobalamin interacts with folate metabolism, preventing folate derivatives from being trapped in unusable states. Adenosylcobalamin is involved in the metabolism of odd-chain fatty acids and branchedchain amino acids. 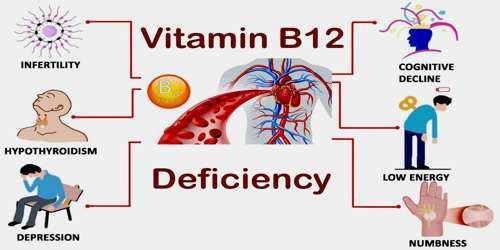 Deficiency symptoms of vitamin B12 are both hematological (pernicious anemia) and neurological. A megaloblastic anemia may occur because the effects of the vitamin B12 deficiency on folate metabolism. Shortness of breath, fatigue, weakness, irritability, sore tongue, decreases in blood cell counts (red, white and platelets) are all clinical signs of a vitamin B12 deficiency. Vitamin B12 deficiency may occur in between 40% to 80% of the vegetarian population who are not also consuming a vitamin B12 supplement. 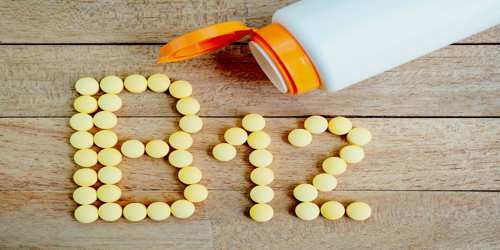 Vitamin B12 is necessary to prevent accumulation of homocysteine, a toxic metabolic byproduct linked to cardiovascular disease and connective tissue abnormalities. Hypochlorhydria and gastrointestinal disturbances are frequently associated with vitamin B12 deficiency. Very small amounts of vitamin B12 (cobalamin) are needed to maintain good health. The RDA value is 0.3 micrograms (mcg) for infants under six months, 0.5 mcg for those six months to one year old, 0.7 mcg for children one to three years old, 1.0 mcg for children four to six years old, 1.4 mcg for children seven to 10 years old, and 2 mcg for those 11 years of age and older. Requirements are slightly higher for pregnant (2.2 mcg) and lactating (2.6 mcg) women. For cyanide poisoning, a large amount of hydroxocobalamin may be given intravenously and sometimes in combination with sodium thiosulfate. The mechanism of action is straightforward: the hydroxycobalamin hydroxide ligand is displaced by the toxic cyanide ion, and the resulting harmless B12 complex is excreted in urine. 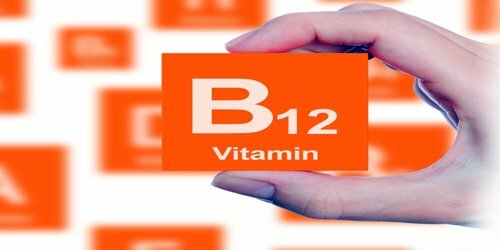 Those who have infections, burns, some types of cancer, recent surgery, illnesses that cause decay or loss of strength, or high amounts of stress may need more than the RDA amount of B12 and other B vitamins. A balanced supplement is the best approach.